Home / New Products / Rainchus & Pikados! Today was the release of Monthly Pikachu June, the third in this collection! We made sure to be at the Center early to get these guys. 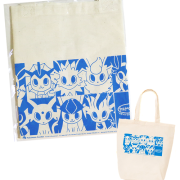 They also released the Trainer Collection: Heroine XY today- so there was lots of cute goodies scattered around. We also got a sneak peek of next month’s Monthly Pikachu! 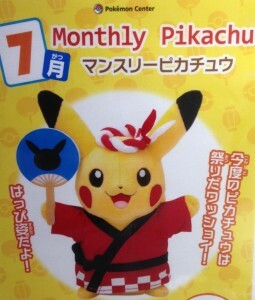 July features Pikachu dressed up in his festival outfit- complete with a little fan. We’re starting to take pre-orders now. 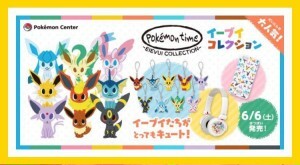 Firstly, we have a preview of the Pokemon Time Eeveelutions goods which are due out on June 6th. 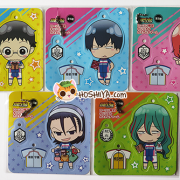 Once there is a full merchandise list, we’ll be posting them. Also, to celebrate the new Pokemon Center being opened in Hiroshima, Pokemon posted this image of three Pikachus dressed like Magikarp, Gyarados & shiny Gyarados (the Hiroshima Pokemon Center’s mascot)! Will they get the same treatment of goods as Pikazard? Hopefully! 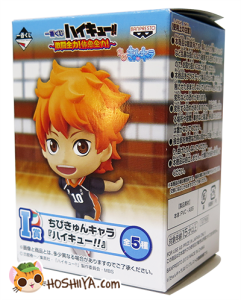 We have stocked two figure prizes from the recent Haikyuu!! 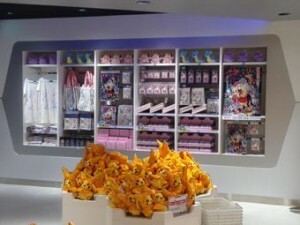 Ichiban Kuji. We only have one of each. 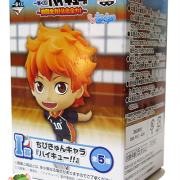 We’re hoping to stock more Haikyuu!! products this summer. 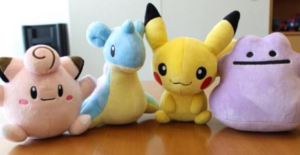 Three new Secret Base plush were announced last weekend: Ditto, Clefairy & Lapras. We’re doing pickups for all three (as well as the previously released Pikachu) for as long as the Center has stock! Also remember to follow us on Facebook , Twitter & Tumblr! We’ll be offering some promotional discount codes through them in the future– as well as notifying you of new products! 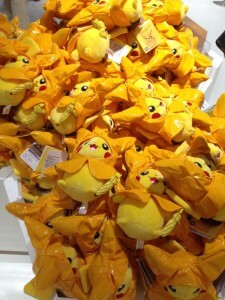 ← Pikazards & New Products!